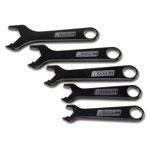 651930 - Russell AN Hose End Wrench - Dezod Motorsports Inc - Home of the automotive performance enthusiast since 2002. 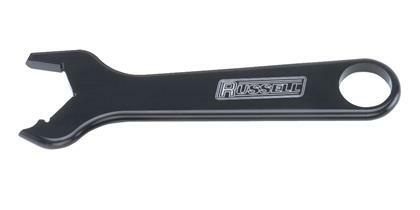 -3, -4, -6 AN & 1-1/4"
Russell AN Hose End Wrenches have a special ratcheting design for tightening fittings more efficiently. They are precision machined to fit Russell hose ends without damaging the anodized finish. The satin, anodized finish features extended durability. Available individually or as a complete set.